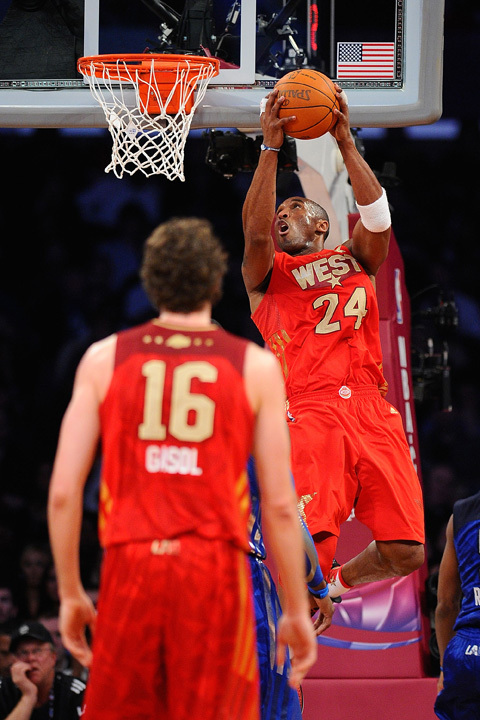 Kobe freaking Bryant. Dude just won his 4th All Star MVP award. No big deal. Just ties him for the most ALL TIME to win that award. Some might argue it’s a trivial game with very little defense, but you can’t tell me these guys don’t want to win this game. After Kobe, oh, I dunno… DUNKED ON LEBRON, Lebron was so mad he was playing close, tough D on Kobe and doing everything he could to bring a W to the East. Is it bad that I just think of the word “der” when I see Lebron’s face in that photo? Welp despite his late heroics, the East fell up short, and the tweet I shot out with about 9 minutes left in the game turned out to be a prophesy. Oh that 4th MVP award? That tied him with Bob Pettit for the most ever. Huh? What’s that you say? You’ve never heard of him? Bob Pettit won four All-Star MVPs, all won with the St. Louis Hawks from 1956-62. Huh? The St. Louis Hawks? Exactly. Nobody reading this blog was probably born when that dude played. I’ll put it in perspective for you… here are the dudes he was tied with that had 3 All Star MVP trophies. 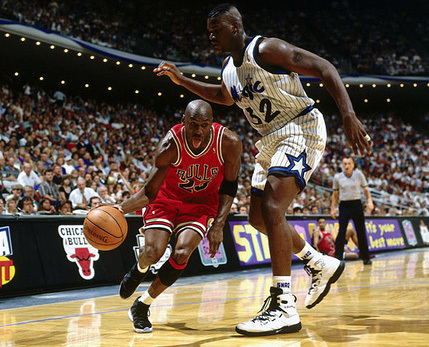 Shaq and his airness, Michael Jordan. Heard-a-them? So, if you’re a hoops fan at all… you’ve already seen this, but here is the full length version of Kobe’s latest “movie”. Kobe Bryant is, “The Black Mamba”. Directed by Robert Rodriguez. 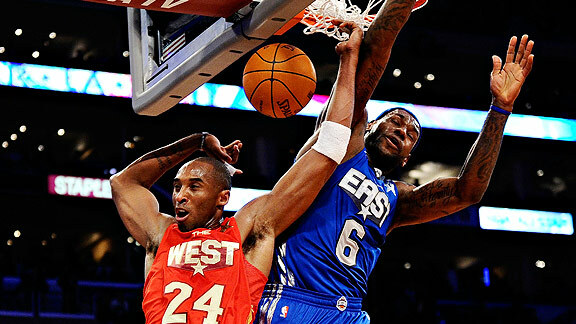 Anybody else notice Kobe refer to himself as “The Black Mamba” while introducing himself in the All Star Game? Love it. Ego, much? This entry was posted in Basketball, NBA and tagged All Star game, All Star MVP, Bob Pettit, Kobe Bryant, Lakers, Michael Jordan, NBA, Shaq, The Black Mamba. Bookmark the permalink.